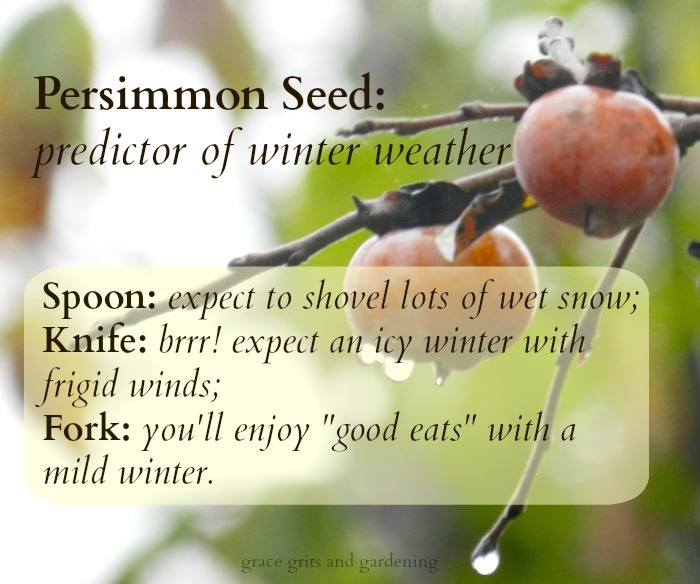 You’ve probably heard a persimmon seed can predict winter weather. I love good weather folklore and couldn’t pass up the opportunity to check this one out for myself. Of course since we are in our first week of October, the results are yet to be confirmed. Thank goodness. I’m not quite ready for winter. Are you? Before I get to my persimmon seed prediction, let me say, this all came about because I went for a hike yesterday (which I’ll tell you about in a future post). On this hike, we found a certain area filled with persimmon trees. And the trees were absolutely loaded with fruit. I took a few home to do my experiment this morning. Cutting open a persimmon seed is no easy task. The outside of the seed hull is super tough. It would no doubt be easier to split open dried seeds, but I couldn’t wait. JUST THINK, the secrets of our future winter weather are wrapped up inside this tight-as-a-clam seed. That’s exciting stuff. And yes, I do tend to believe in things like this. I’m a believer in the overall idea that Mother Nature contains magical remedies and answers to so many of life’s questions. Often we simply don’t pay enough attention to the signs. I wish I’d listened more closely to the lessons my Nana and Mammaw Ruby believed. Because they knew what was what. Anyway, it took me a while, but I finally opened the persimmon seed, and I managed to do it without cutting my finger. Bottom line—we might want to start storing nuts for winter. When I finally sliced open the seed, I found both a spoon and a knife! At least that’s how it looks to me. If the old wives’ tale holds true, those of us in Northwest Arkansas are in for a cold, snowy, icy winter. And if Northwest Arkansas is in for an epic winter, you may be too. Think snow cream(!) and snow days(!) and a blazing fire in the fireplace. I say we revisit this in a few months and see if my persimmon seed prediction was correct. I do love a good snowfall, but ice? No thank you, Ole Man Winter. Ain’t nobody got time for that. One more thing…these persimmons are so sweet and juicy. I think I need to make a persimmon cake or pudding. Does anyone have a recipe??? If so, share in the comments. What a great tale about the weather-predicting persimmon! I had never heard that before, but find it so interesting. Yes, as we live in Georgia (practically next-door neighbors), maybe we’ll share in that cold and snowy winter with you. Haha well I don’t know if we’re really next door neighbors but southern friends for sure! So whatever weather we get will likely make it’s way your direction. I’m happy to share my persimmon folklore with you. Thanks for the persimmon seed details. 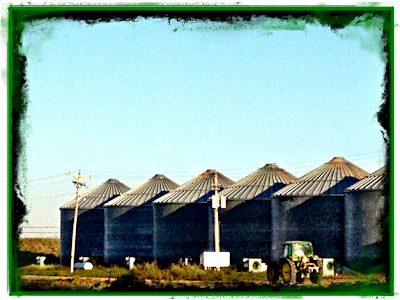 I enjoyed your blog post and photos. Thanks Sydnie – I’m glad you enjoyed it! Like you, I’ve always been a winter weather watcher. Wooly worms, regardless of the direction they travel, have their heavy coats on, some with a black accent stripe. Good job on splitting the seed! I saw a wooly worm on the farm a couple of weeks ago. Thanks!! There was a persimmon tree on my grandfather’s farm where I lived most of my first 7 years. I mostly remember trying to eat one before it ripened. Needless to say, I didn’t try that again. But I never heard about the seed and winter prediction, so thank you for that. A couple of the men on the hike said if you’ve ever tasted a persimmon before it was ripe, you’d never forget it. Sounds like your experience too. They said always gather the ones on the ground because they’re ripe and sweet. The others will make you pucker worse than a dill pickle! Thanks for the details on the persimmon seed predictions. I knew about it but not what meant what. I’ve heard there are lots of acorns this year, too. I think that’s another predictor. Oh, well. Guess we better get our winter woolies out. It’ll be here before we know it!!! I remembered part of that information from my childhood. My retention level was subpar. I firmly believed that whatever happened was simply meant to be and my job was just to hang on and deal with it when it happened.